Every so often I get the urge to start or try something new. I get tired of the status quo and want to break out of the day to day mundane, learn something new and spark some new life into these old bones. I come to the end of what has currently held my attention and my spirit and my eyes start looking for the next sparkly thing to hold my interest. 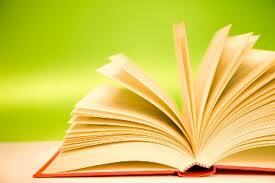 When I get these compulsions I know it is time to start another chapter in my life. Sometimes new chapters happen organically. A project comes to a natural completion. The natural progression of life moves you forward or a current interest evolves slowly to the point that you don’t even notice the change until much later. Sometimes the next chapter happens suddenly and without warning. An accident, a death, a job loss, tragedies that can not only propel you into the next chapter, but sometimes, it seems, into a completely different book of life. Yet as devastating as these instances can be, it is still your life and your own personal story, just maybe a different volume in the saga. What ever the reason, what ever compels you to turn the page on your life and start a fresh chapter, taking an open, curious outlook will create a greater adventure. When you reach the end of your life, will your personal biography make for an interesting read, maybe have the potential to be a best seller or will it get lost in the shelves of history to wallow in the dust along side millions of other personal tomes. I not saying to live your life with the end in mind. I am saying to live your life. Live it as only you can and how you mean it to be. When you come to the realization that a chapter in your life has concluded and the urge to turn the page calls, by all means turn the page and begin again. 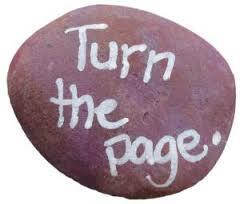 A life rut is when we keep re-treading the same chapter of our own personal book. We begin to know every word and every sentence. There is no longer any surprise so there fore there is nothing to delight your curious mind. I am ready for a new chapter. I thrive on change and adventure. This chapter that I am currently on is almost read. I haven’t looked ahead so I don’t know how many pages are left but I can sense my personal story morphing. The fiction part of my brain needs input. It seeks the fantastical. It craves awe. The non fiction part of my brain must have knowledge to sustain it. It is a sponge that works best when soaking up new information, different perspectives and diverse facts. Let me assure you that the shell of the story is still the same. The original characters are all still there, it’s just time to add a little plot twist, maybe the addition of some new characters, or the heroine in the story (that’s me) needs a new challenge to overcome in order to make for a more interesting yarn. That is the beauty of beginning a new chapter, you never know what is going to happen until you start into it. Will this new, unwritten chapter built on the previous story line or will it throw the plot into a spin of a whole other chronicle. Who’s to say. That’s the exciting part. My only job in all of this is to keep an open, curious outlook and be ready for the adventure.